Looking for the perfect two day itinerary to spend in Bruges? Check out my recommendations below for an epic 48 hour whirlwind around this gorgeous city. Known worldwide for its fairytale appeal and endless flow of romance, the Belgian city of Bruges is one that requires no introduction. And while the go-to for many eager travellers is to simply blast through the sights on a single day trip, I would say the more ideal thing to do would be two days in Bruges to fully experience the necessary activities of museum hopping, fry eating and beer guzzling. And so, if you have two days to spend in Bruges and you want to fall in love with the city, I promise this is the itinerary you need to follow. This action-packed two day itinerary for Bruges will leave you hopelessly in love with the city, with a belly full of waffles and a camera full of beautiful, postcard-perfect memories. Alright, day one of is all about getting a feel for this beautiful city and allowing yourself to fall in love with allllll its vices and treats. The good news is, Bruges is insanely walkable, and with all its main monuments and sights packed tightly into a small city center, you’re able to explore to your heart’s content without getting totally worn out. Here is my suggested itinerary on what to do for your first day in Bruges. 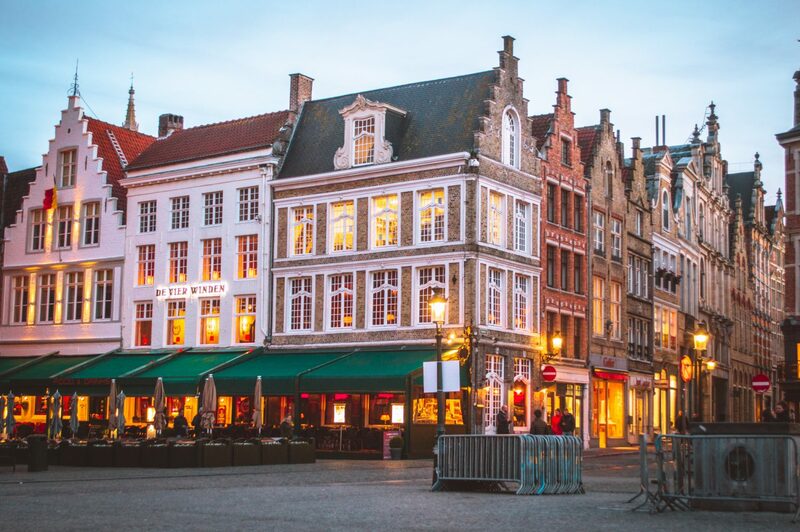 Markt Square is the quintessential Bruges hotspot. 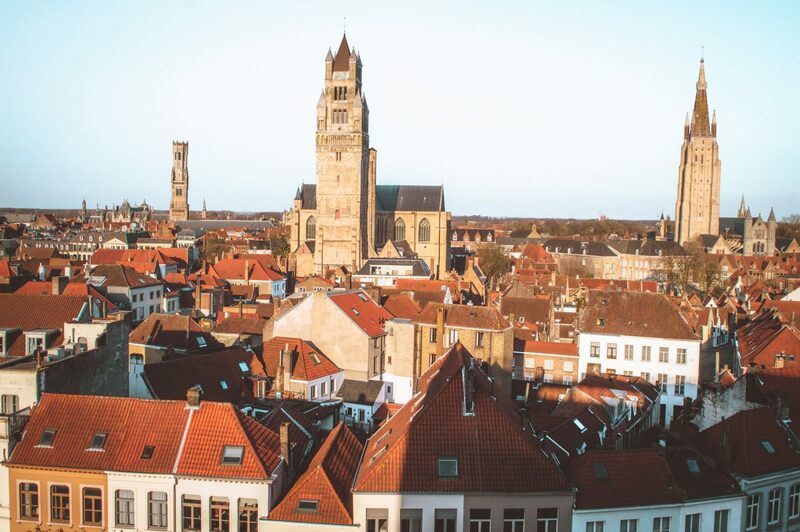 It’s here that you’ll find some of the most iconic sights of the whole city, including the Belfry Tower, which looms over the square, alongside “THOSE” perfect buildings you see in every Bruges postcard. Naturally, it gets crowded here throughout the day, so I recommend making it your first stop so that you can enjoy the atmosphere before crowds start settling in. Don’t forget to stop inside the Belfry’s courtyard, which you can easily access from the square. It’s a nice pocket of calm in the very city centre. Optional: While in the courtyard, you can also choose to climb the 366 steps up to the Belfry. Remember that this can be a crowded attraction and they only let a certain number of people up at a time, so I highly recommend you go early and do this in the morning. Burg is another one of Bruges’ beautiful squares, home to important sights like the Town Hall and the Basilica of the Holy Blood. Thanks to its mish mash of architectural styles, it’s a real treat to explore and photograph. Don’t forget to check out the inside of the town hall while you’re here (it’s one of the oldest town halls in the region), and if you’re lucky enough to be around when there’s a market happening, take some time to slowly explore the stalls and sample delicious local products. The Basilica of the Holy Blood is world famous for one very special item – it is in this church that you can find a relic that supposedly contains the blood of Jesus Christ. While the church is gorgeous and worth seeing any time of day, it is only during certain hours that you are able to come to the church and see the relic for yourself. According to the official website, this is everyday after mass from 11:30am – 12:00pm, and also in the afternoon from 2pm-4pm. One of the most charming things about Bruges is of course its little streets . 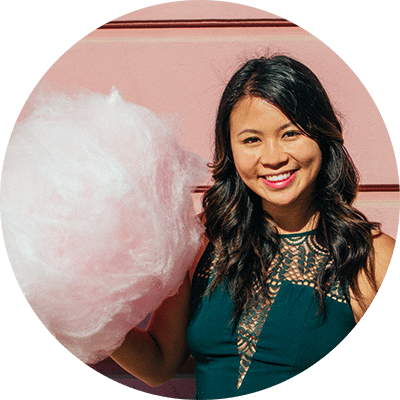 Ditch the guidebook (and me, hi!!) for a little while and take some time to indulge in the ever-so-cliched pastime of “getting lost”. Burg is an excellent jumping point for exploration, and there’s plenty of nice shops in the area. Bruges has been really keen on their #LocalLove movement lately, promoting handmade products that are produced locally. You can access a list of fun shops here. Of course, now would be the optimal time to sample some of that world famous Belgian chocolate, or maybe grab a quick snack of fries… but don’t eat too much, because I have the best spot for you to enjoy a sweet lunch. Enjoy some of the best hot chocolate in the world at The Old Chocolate House. If you’re game though, do yourself a favour and head over to the Old Chocolate House, an amazingly cozy shop with a little cafe area up top that will remind you of a charming old granny’s house. Everything about this place oozes quirk and charm, from the dainty floral plates to the “receipts”, scribbled quickly across yellow post-it notes to be paid downstairs. Here, you can enjoy some delicious waffles and giant mugs of incredible hot chocolate the size of your face. This beautiful church is an iconic sight of Bruges, and a real must see. Luckily for you, it’s just down the street from the Old Chocolate House, so it makes for a great post-lunch stop. The highlight of this church (and why many flock here in droves) its Madonna and Child sculpture by Michaelangelo. In fact, it was the only sculpture of Michaelangelo’s that left Italy during his lifetime. Assuming you’re following this guide to a tee, you’ll now be close to the canals and can easily walk to one of the loading points for a 30 minute boat trip. There are a few different “landing stages” for boat tours, but if you have just left the Church of our Lady, the stop at Nieuwstraat 11 is two short minutes away by foot. While the ride only lasts for 30 minutes, take into account that the wait may be longer, especially in peak season. 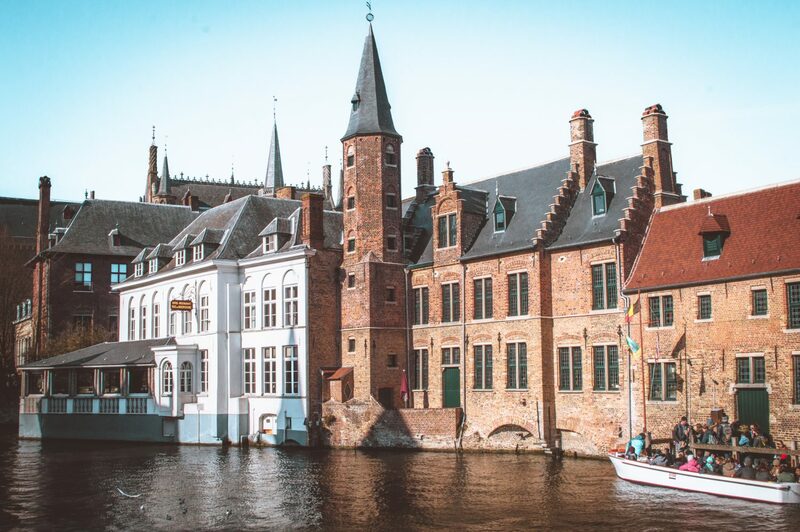 I’ll be honest with you: you’ll undoubtedly feel a bit like a cheesy tourist, but you can’t go to Bruges without experiencing a boat ride along its world-famous canals. I can vouch for it – it’s beautiful! Plus, saving this activity for after lunch will give you some time to digest all the chocolate in your system, and allow you to get a feel for the city and all its hidden canals and streets. Your boat tour will drop you back off where you got on. If you’ve been following this guide so far (yay! ), you’ll end up a short walk away from the de Halve Maan Brewery. I highly recommend you take the scenic walk over and sign yourself up for a brewery tour! The guide I had was hilarious, and it’s a really fun experience overall to see where one of the city’s most famous products is made. 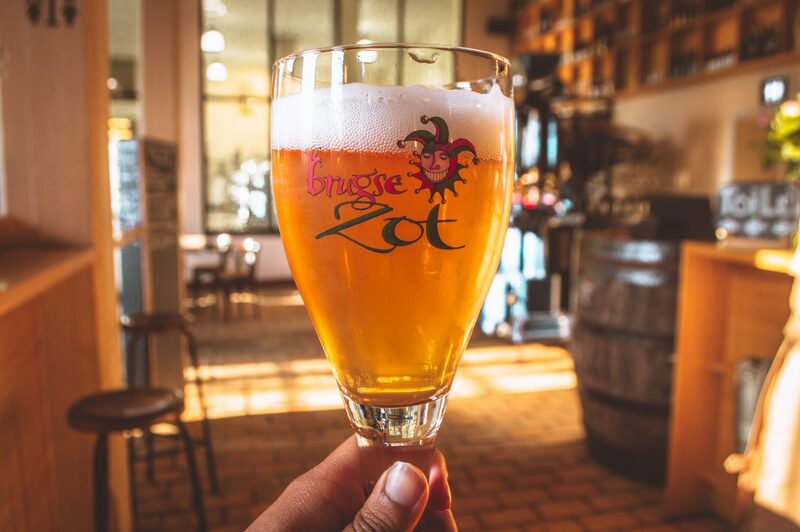 At the end of the tour, you’ll of course be rewarded with a glass of Brugse Zot for your efforts. Dubbed one of the most romantic spots in Bruges, you can’t miss a quick visit to Minnewater, AKA Bruges’ lake of love. With the sun slowly setting and all the swans gliding past on this small, rectangular lake, you’ll quickly realize why this city has such a hefty reputation for romance. 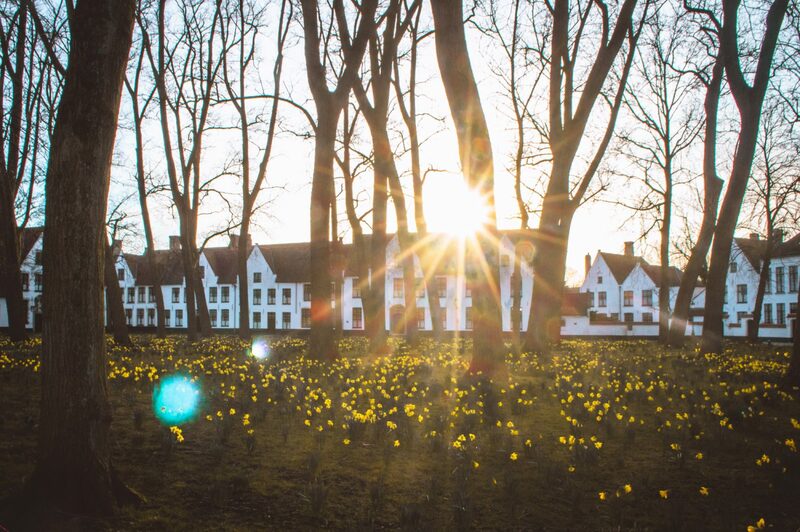 For the most tranquil and perfect way to cap off a day of sightseeing, make your way to the Beguinage, home to Benedictine nuns, and a sliver of tranquility with beautiful gardens for you to admire. During spring, golden daffodils sprout up in the grass, creating the most perfect scene in an already stunning setting. There are a lot of restaurants to choose from in Bruges, though do take note that it’s not exactly the most budget-friendly destination. As I left Bruges in the early evening on my second day, I only had chance to have a proper sit-down meal once, at Den Dyver, located a short walk from Rozenhoedkaai. The food and ambiance were very nice, though the prices were a little on the high side, so if you’re looking for a more affordable alternative, I’ve heard great things about Gran Kaffee de Passage. Otherwise, if you’re looking for more recommendations, I’m going to direct you to an article from the experts themselves at Visit Bruges for a list of great places to eat. You can read their recommendations here. The area around the Rozenhoedkaai is especially atmospheric around this time. Enjoying the city free of all the day trippers is something truly special, certainly with all the monuments lit up. Day two is all about uncovering some of Bruges’ hidden treasures. You can read more about offbeat activities in Bruges in this post, but if you’re a lazy walrus like myself, here it all is organized for you! 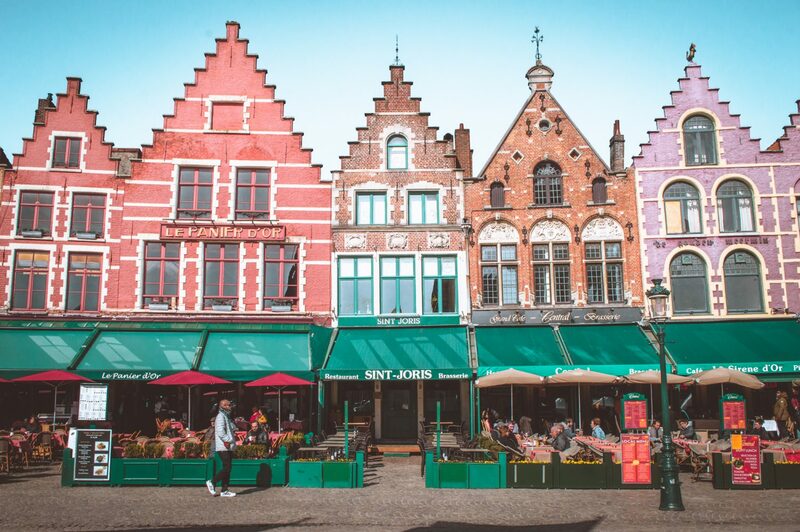 The Eastern section of Bruges is one that is far less frequented by tourists, which makes it the perfect area to discover a quieter, more tranquil side of the city. Along the city ramparts (near Kruispoort, the best preserved of Bruges’ city gates), you’ll find Bruges’ four remaining windmills. If embarking on this journey from the city center, make sure to take the scenic route and enjoy some time exploring the parishes of Saint Anne and Saint Giles, which are largely residential working class neighbourhoods, but still worth a wander thanks to the charming rows of houses and endless curb appeal. 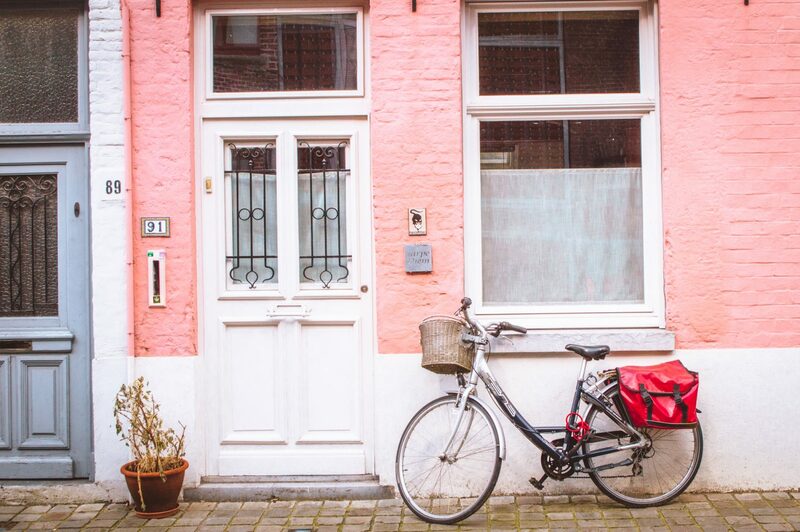 On your way back into the city center from your windmill grand tour, be sure to walk along Laangestraat, which is home to a massive variety of charming boutiques and beautiful storefronts that are well worth stopping for. Vie de Vue Antique Shop (on Hoogstraat 40, just one block of Laangestraat): whose coziness is the stuff of dreams. 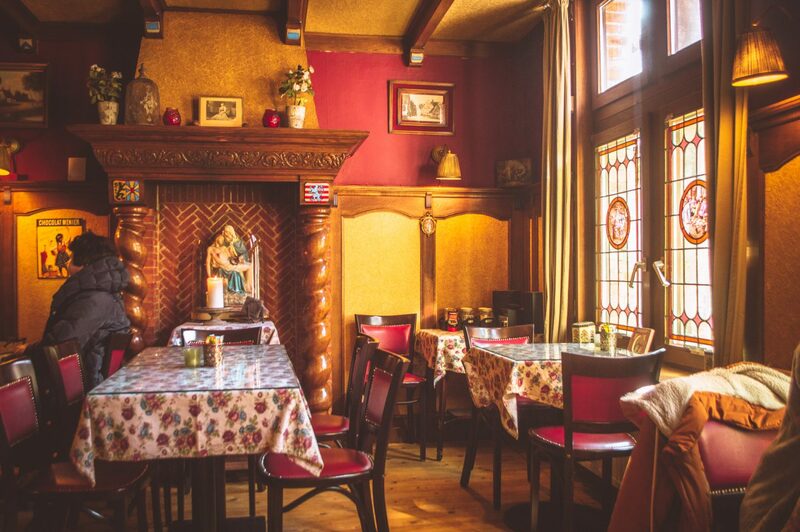 Before heading back into the heart of the city, be sure to make a stop in Cafe Vlissinghe, the oldest cafe in the city. This infinitely cozy pub has been keeping residents happy, fed and buzzed since its early days in 1515. If you’re looking for some authentic ambiance, look no further. Otherwise, I’d recommend grabbing a quick to-go lunch (maybe fries if you’re feeling cliched?) and eating it picnic-style outside in one of the many squares around town. Groenigemuseum – If you love art and are interested in seeing some classic work from the Flemish primitives, then you need to visit this museum. The detail in some of the pieces is unbelievable, and really worth seeing. ChocoStory – really interesting collection of items and exhibits that walk you through the history of chocolate. Really great for kids, but I had a good time too (surprise), especially with the sheer amount of “all you can eat” samples 😉 The visit ends with a fun praline making demonstration too where of course, you get to enjoy one on the house afterwards. Check out tickets online here. Lumina Domestica – AKA the lamp museum, home to a staggering collection of 6000+ antiques and lamps chronicling the history of indoor lighting. If you’re looking for something truly quirky and offbeat, this is it. I was the only one in the museum (which felt a bit eerie given some of the lifelike sculptures and displays!) but the lamps were very cool to look at. Housed in the same building as ChocoStory. Frietmuseum – yes, a museum dedicated to fries! Fight off the tantalizing smell of freshly made fries coming from the basement café as you walk through informative displays all dedicated to the precious tater. NOTE: This museum is best for kids and those with a genuine and intense appreciation for potatoes! Check out tickets online here. I think one of the coolest, most underrated things to do in Bruges (especially if you’re interested in design and music) is to visit the Concert Hall (Concertgebouw) and do the circuit tour they’ve designed. 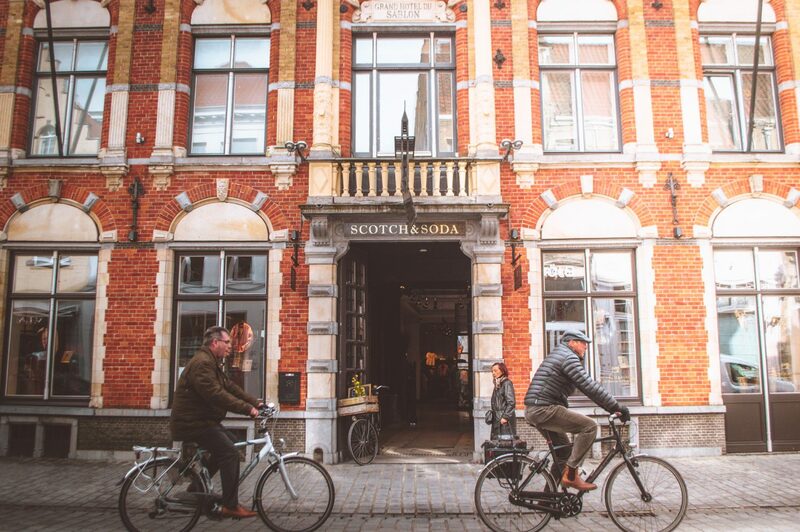 This ultra modern building looks nothing like the rest of Bruges, and it’s best appreciated from the inside, where they’ve set up a collection of modern/sound art and interactive displays for you to venture through. PS: it also happens to be home to one of the best views in the entire city. Be sure to check the hours though, as they stop letting people in for the circuit about an hour before closing time. Repeated from above: since I left Bruges in the early evening on my second day, I only had chance to have a proper sit-down meal once, at Den Dyver, located a short walk from Rozenhoedkaai. The food and ambiance were very nice, though the prices were a little on the high side, so if you’re looking for a more affordable alternative, I’ve heard great things about Gran Kaffee de Passage. Finish off your time in Bruges with a sampling (or gorging) of Belgian beers in a fun, quirky bar. Le Trappiste (Kuipersstraat 33): a friendly Bruges institution renowned for its atmospheric and cozy vibes. Very popular and well-known. Retsin’s Lucifernum (Twijnstraat 6): if you’re looking for something dark and different. Bizarre, quirky and vampiresque are just a few of the adjectives frequently used to describe the gothic haven of where strange oddities adorn every wall and spook visitors as they sip their beers. 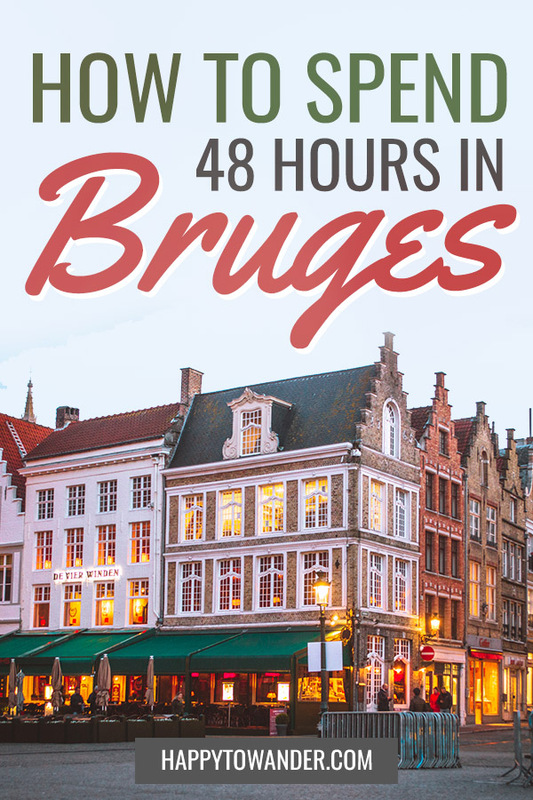 So, with this massive itinerary in tow, I hope you’re ready to tackle your 48 hours in Bruges! I hope this post gave you plenty of inspiration for what to do with two days in this magical city. Let me know in the comments if you have any questions. I love the way the buildings look! Ahh same. They’re so ridiculously fairytale-like! one of the beautiful place you went and shared about trip experience, last year i went there and enjoyed a lot. specially the historical places which showing something very grand.